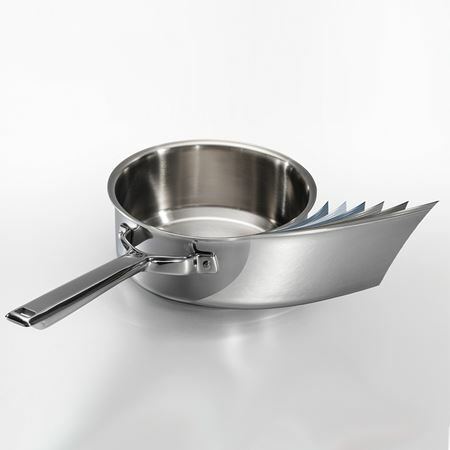 Wolf Gourmet offers new ways to master your kitchen with its collection of precision cutlery and multi-clad stainless steel cookware. 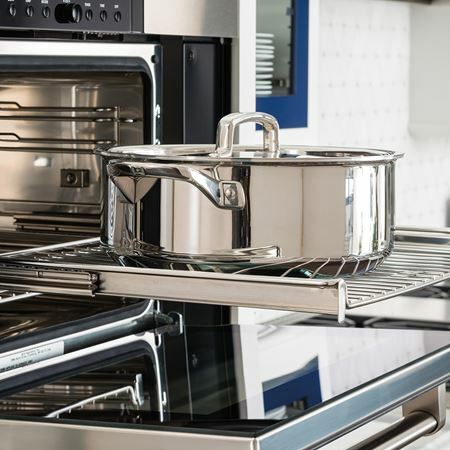 Beautifully crafted with performance and quality to match, these trusted culinary companions will inspire confidence to ensure delicious results every time. Combine the best of European and Asian knives? Challenge accepted. Wolf Gourmet cutlery merges the precision of Japanese style blades with the durability of German forging to inspire confidence in the kitchen. 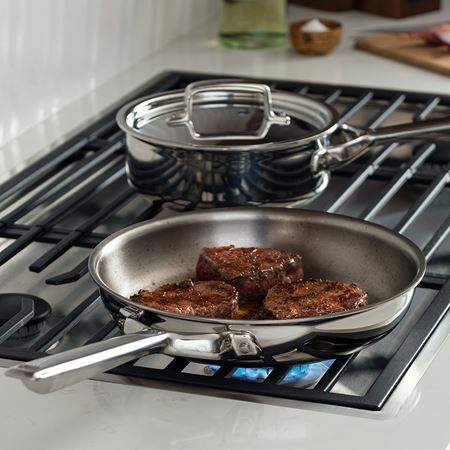 Whether you’re a seasoned pro, or discovering the pleasure of cooking for the first time, these trusted culinary companions offer performance far beyond your expectations. 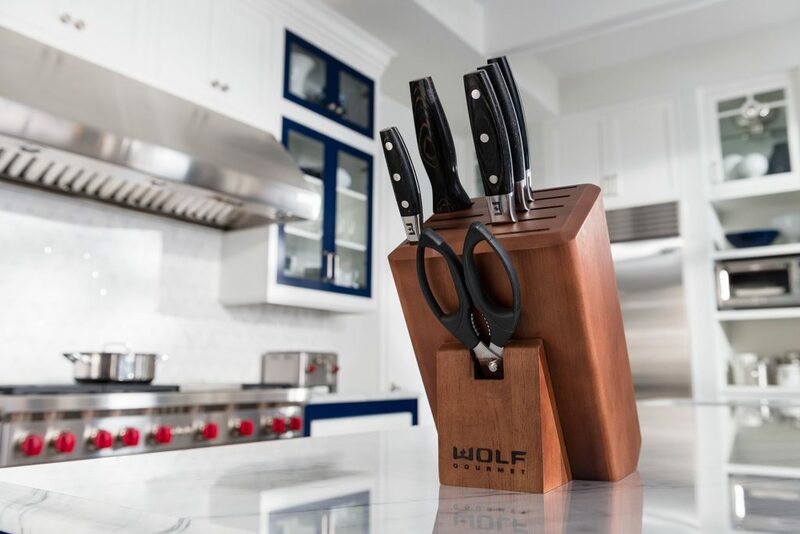 Wolf Gourmet cutlery is meticulously forged and ground using advanced laser technology to ensure a precise cutting angle resulting in a razor-sharp cutting edge. High-carbon stainless steel is used to achieve a Rockwell “C” Hardness of 61 to create an exceptionally durable, long-lasting edge that is also easy to hone and sharpen. The balanced, triple-riveted, full-tang knives are made with resin-infused, moisture-resistant pakkawood handles designed to fit securely and comfortably in the right or left hand. 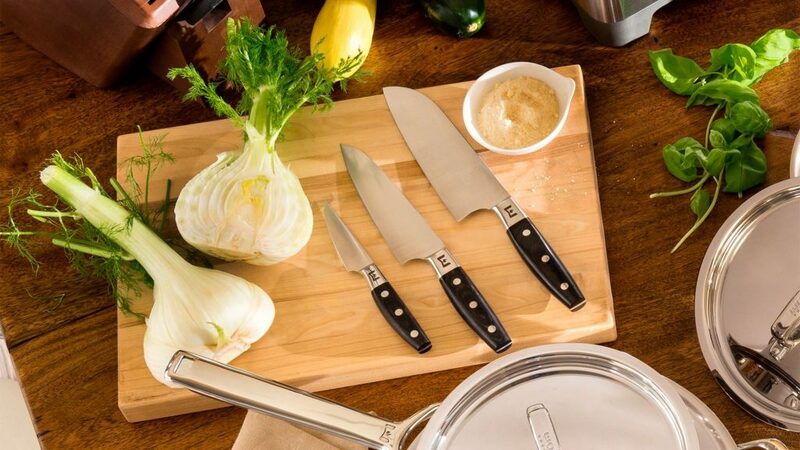 Wolf Gourmet’s 7-piece cutlery set includes all the essentials you need to create delicious meals – knives, kitchen shears, honing steel, and a gorgeous hardwood storage block to keep your tools at the ready. Merging the precision of Japanese-style blades with the durability of German forging, our cutlery set will inspire confidence in the kitchen. 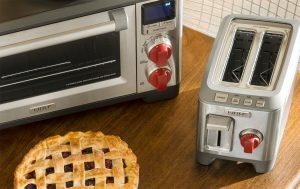 Preparing meals will go from dull to delightful as you mince, slice, carve, and dice with precise control.